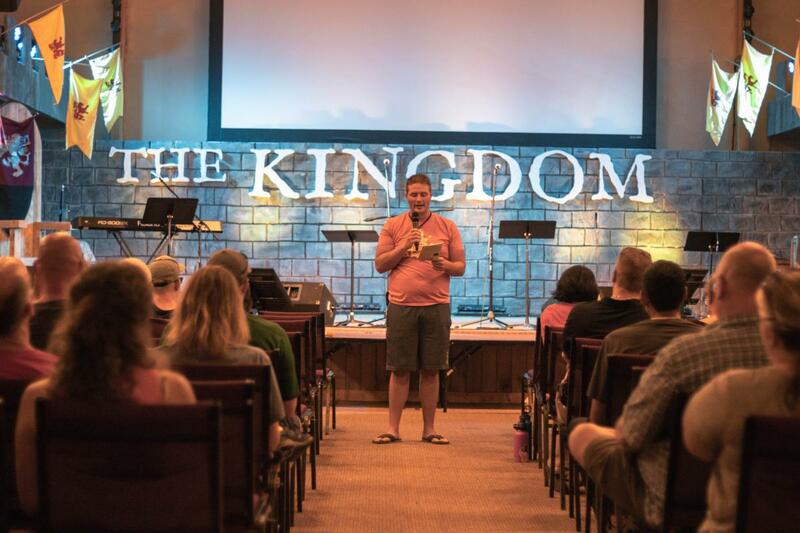 If you grew up in a religious family, there’s a good chance that some of your best childhood memories date back to your time at a summer church camp. 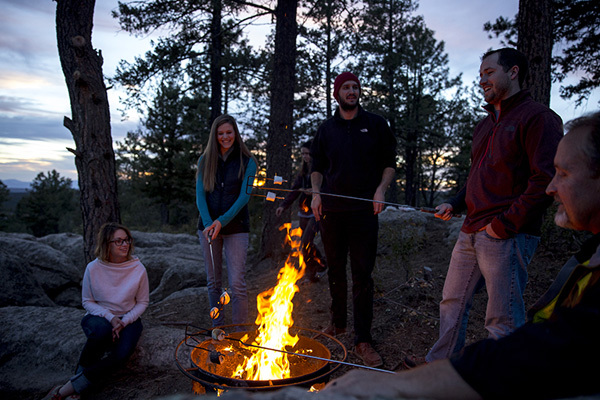 Sure, that first night away from home was hard, but after that the combination of friends, the great outdoors and the chance to deepen your faith likely created some of your most formative spiritual experiences. If you were lucky, you got the chance to return year after year. As a planner of church trips, you can help people re-live some of those childhood memories. They’ll never be 13 again (and honestly, hardly any of us would want to be). But they can still experience the wonder of watching a full moon rise above a mountain lake, the camaraderie of singing around a crackling campfire and the fun of goofy sports activities with friends. Best of all, their time at a camp can re-orient their religious compass, setting them back on a path to God. Sometimes the best thing we can do in our ministries is take people away from a church building and into God’s creation. Alpine Ministries (www.alpineministries.com) in Mt. Hope, West Virginia, is located on the campus of Appalachian Bible College. Groups come here in part to enjoy the New and Gauley rivers, which offer some of the best whitewater rafting in the country. Alpine Ministries is the only Christian rafting company in the area. After you experience the thrill of the rapids, you can keep the adrenaline flowing by heading underground to explore the twists and turns of a wild cave with headlamps and helmet, or by rappelling down a 120-foot cliff face into the New River Gorge, which is part of the National Park Service. Other outdoor offerings include a high-ropes course, climbing tower, adventure swing and zip line, all set amid the beautiful West Virginia mountains. A variety of indoor meeting spaces offers plenty of options once you’re ready to come inside again. Up to 300 guests can stay in tents, a lodge or in dorm accommodations. 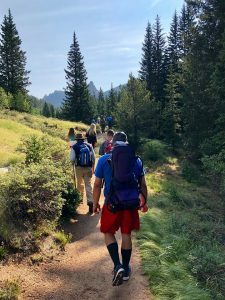 The non-denominational Black Diamond Camps (www.blackdiamond.org) offer groups the chance to pray, recharge and re-commit themselves to Christ in two locations in the state of Washington. Its main campus is in Auburn, 45 minutes from Seattle. Lodging ranges from dorm-style lodges and A-frame cabins to hotel-style rooms. Activities include mountain biking, zip lining, a 3-D climbing wall, black light mini golf and a super swing. For a more remote, back-to-nature experience, groups can book a stay at its Rainier facility, which is located just nine miles from Mt. Rainier National Park in the Cascade Mountains. Hiking and mountain biking in this stunning landscape provide nourishment for both soul and body (an added bonus: with no cell phone service and limited Wi-Fi, it’s easier to disconnect from day-to-day worries and concerns). Between the two camps, Black Diamond can accommodate up to 800 guests. Near Asheville, North Carolina, the non-denominational Camp Cedar Cliff (www.campcedarcliff.org) sits on 350 acres in the Blue Ridge Mountains next to the Billy Graham Training Center at The Cove. Bordered by the scenic Blue Ridge Parkway, the camp offers a wide range of outdoor activities, from whitewater rafting, swimming and horseback riding to hiking. Guests can also challenge themselves on a climbing wall, zoom through the forest on zip lines and bond with fellow group members on a high ropes course. Camp Cedar Cliff, which can accommodate up to 250 guests, offers lodging in cabins. Outdoor Ministries. Hiking trails wind through 350 acres of prairie, woodlands and wetlands, past sandstone outcroppings and a spring-fed lake. Along with faith formation, outdoor education is an important part of the center’s mission. Guests can take night hikes, do an owl prowl, stargaze, bird watch, and learn about pond ecosystems. Teambuilding options include low and high ropes courses and activities such as a levitation platform, power perch and trust games. A variety of meeting spaces and lodging types accommodates diverse groups. In the summer, the center can host 675 guests, with a winter capacity of 365 and space in the fall and spring for 475. In the rural countryside of east central Ohio, the non-denominational Faith Ranch (www.faithranch.org) focuses much of its programming around horseback riding. Groups come for day outings or for one- or two-night stays, with every visit including at least one trail ride. In addition to riding lessons and instruction in grooming, saddling and other horse-related tasks, Faith Ranch offers activities that include swimming, fishing, archery and shooting and a ropes/challenge course. In the evening, groups can enjoy an old-fashioned barn dance. The ranch accommodates up to 124 overnight guests in tents, bunk and ranch houses, and cabins. Two hours east of Dallas in Big Sandy, Texas, The Pines Catholic Camp (www.thepines.org) has been offering fellowship, fun and faith formation for more than 20 Catholic dioceses since 1988. During the summer it caters to youth, but adult groups are welcome for rest of the year. Swimming, sand volleyball, a climbing wall, giant water slide, archery and zip lines offer plenty of ways to relax in between programming. The adventuresome will enjoy trying the slippery sport of log rolling on Lake Lou Ann. The Pines can host up to 200 guests in bunk-style cabins. The Rocky Mountain Mennonite Camp (www.rmmc.org) is located in Pikes National Forest on the west side of Pikes Peak Massif in Colorado. In the winter, groups can do outdoor activities such as ice skating and snow sledding/tubing, or head indoors for some cozy scrapbooking or quilting. In the warm months, visitors enjoy fishing, hiking and a ropes/challenge course. Many guests include a visit to Pikes Peak in their stay. One of the tallest mountains in the Front Range, it’s just eight miles away from the camp. The facility can accommodate up to 225 guests in tent sites, cabins, dorms, a lodge and hotel-style rooms. Wisconsin’s scenic Northwoods is home to the non-denominational Silver Birch Ranch (www.silverbirchranch.org). Founded in 1968, it sits on 100 acres in the Nicolet National Forest near the town of White Lake northwest of Green Bay. Specialized programs range from couples weekends and men’s retreats to winter family camps. Activities include swimming on Sawyer Lake, an indoor rock wall, zip line, hunting, trap shooting, horseback riding, paintball and whitewater rafting on the nearby Wolf River. In the winter, guests can enjoy groomed ski trails, ice skating, broom ball and snow tubing. Winter and fall capacity is 300; in the spring the camp can accommodate 265. Lodging options include tent and RV sites, cabins and a lodge. Lori Erickson is the author of Holy Rover: Journeys in Search of Mystery, Miracles, and God (Fortress Press).